Friday is finally here, South Florida – and NBC 6 has the top stories you need to know for the end of the work week. After a heated and emotional day of testimony, the 21 member judiciary committee is expected to approve the judge’s bid to go forward for a full vote from the United States Senate amid growing controversy stemming from sexual misconduct allegations from multiple women. Already, Florida’s two senators have announced their decisions on the matter – with Democrat Bill Nelson saying he would vote no while Republican Marco Rubio says he would vote yes. 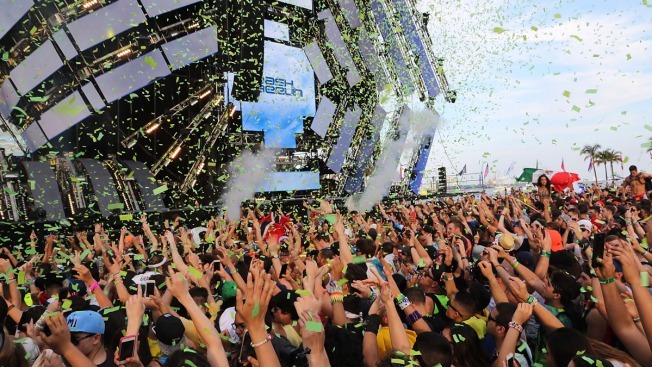 Turn off the lights and pull the plug on EDM in downtown Miami - for now. City commissioners voted against a new contract to keep the festival at its usual location. Ultra says they're moving forward with a 21st edition in Miami. Seven kangaroos have been removed temporarily by Florida wildlife officials from a home-based sanctuary where a 5-year-old kangaroo escaped earlier this week. State wildlife officials said Friday that they had found "deficiencies" in the kangaroos' enclosures at a home in Jupiter, Florida. The kangaroos were moved to an undisclosed, licensed facility. Commissioners voted unanimously Thursday on a resolution condemning the chef, whose real name is Nusret Gokce, for what they say is his "insensitivity to the suffering of the people of Cuba and Venezuela." No. 5 – Miami wins ACC opener with blowout victory over North Carolina. Coach Mark Richt making the QB switch against the Tar Heels, picking N'kosi Perry right before the game. The Canes are now 4-1 for the season and sitting in a three-way divisional tie for first place ahead of next week's huge matchup against Florida State. Cinnabon: Free 12 ounce signature hot coffee at participating stores Saturday. Dunkin': Buy one hot coffee, get one hot coffee free Saturday. McDonald's: Any size McCafé brewed coffee for $1 or small McCafé espresso drink for $2. The promotion is underway and an end has not yet been announced. Krispy Kreme: Free cup of coffee on Saturday. The chain has also introduced new flavors: a coffee-glazed doughnut and a glazed doughnut-flavored coffee. Starbucks: Not holding a promotion but instead the company is donating 2 million coffee seeds and a $583,000 grant to help Puerto Rico's coffee industry. Travelers can now pack their marijuana along with their vacation essentials as long as it stays within the legal limit in the state of California. Los Angeles International Airport will allow anyone 21 years of age or older to bring up to 28.5 grams of marijuana and 8 grams of concentrated marijuana, in accordance with Proposition 64, according to the airport's new policy.